What is One Planet Oxfordshire? 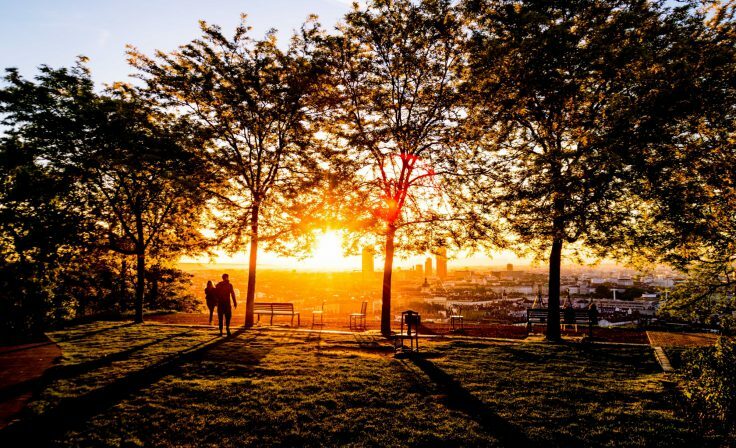 One Planet Oxfordshire is bringing together a wide range of local councils, organisations, businesses, schools and community groups from across the county to collaboratively create a ‘One Planet Action Plan’ for a better, more sustainable future. The plan will be structured using Bioregional’s One Planet Living framework. These ten simple principles – from health and happiness and sustainable food to zero carbon energy – provide a common language to talk about sustainability and to drive positive change. This is part of Bioregional’s One Planet Cities project funded by the KR Foundation. How will the vision and plan be created? 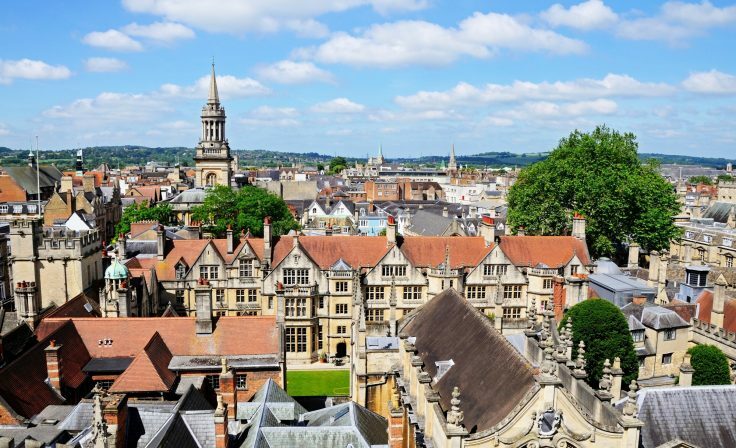 Understanding the context: What’s Oxfordshire’s current impact on the planet? Are local people happy and healthy? Creating a vision: What would One Planet Living look like in Oxfordshire? We’re asking people to help us create a shared vision and making sure we’re including all the action already happening. Being inspired: We’ll draw on inspirational stories from around the world to see what else we could be doing. Action planning: There’s lots of amazing action already happening in Oxfordshire so we’ll be bringing this together and then identifying what else we can do to move towards One Planet Living. How will the plan be implemented? The aim is for us to join together in partnership to put the plan into action and then monitor its progress over the coming years. The vision and One Planet Action Plan will be a resource and a reference for everyone to use – a picture of a future we are all working towards. The actions will be down to each individual or organisation taking part, but our collaborative partnership will keep an overview of how everyone is getting on and look for opportunities to help these actions happen. 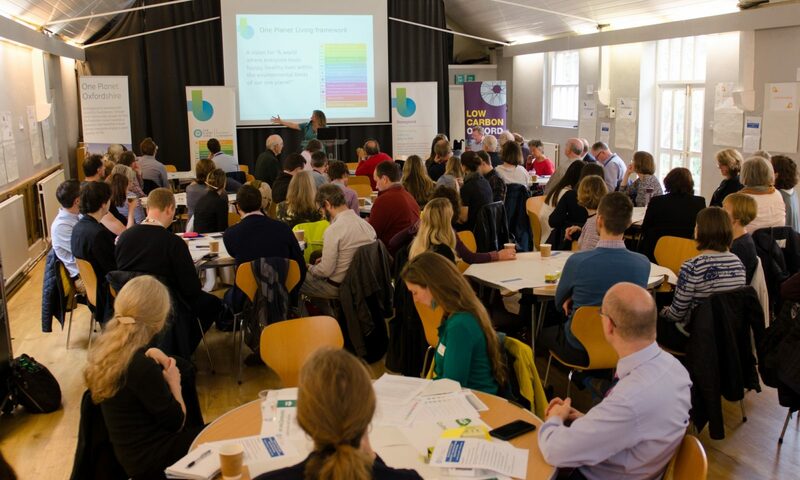 More than 90 people and organisations joined us at our One Planet Oxfordshire workshop in November 2018. Together we developed a vision for the county and a set of indicators and outcomes to achieve that vision. If you live or work in Oxfordshire, please do read these proposed outcomes and indicators and let us know your comments using the contact form below. Save money and boost employee morale by using One Planet Living at your organisation. December 2018 – Feb 2019: Identifying actions for the One Planet Action Plan. 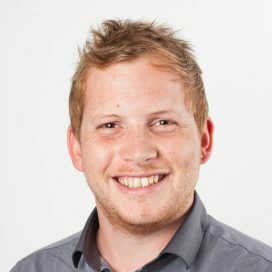 October 2018 – March 2019: Bioregional is providing ongoing support for any organisation developing its own action plan – contact us to book in a session. June 2019: Celebratory launch event for the One Planet Action Plan. Details to be confirmed. 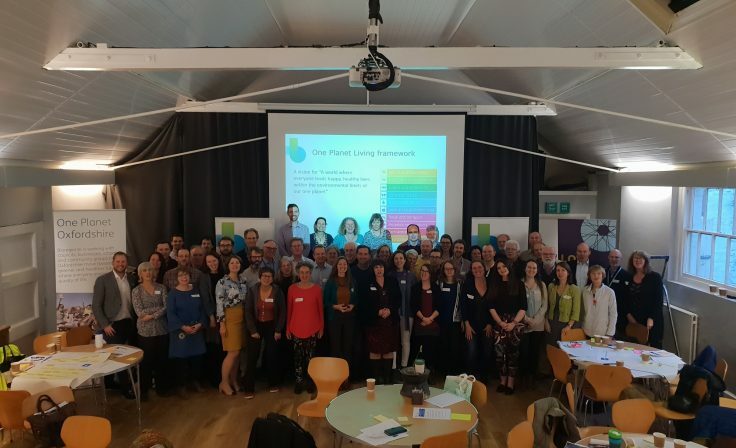 Bioregional Oxfordshire and Oxfordshire County Council are leading One Planet Oxfordshire, with support from Oxford City Council, Cherwell District Council, the CAG Network and OxLEP. Good Food Oxford, Oxford Strategic Partnership, Oxford Brookes University, University of Oxford, Community First Oxfordshire, Low Carbon West Oxford, Gagle Brook Primary School – Part of The White Horse Federation, Transition by Design, Blenheim Palace, Cherwell District Council, TED Studio Ltd, OxLEP, Oxford City Council, Cambridge Cleantech, Marston Community Gardening, Elementa Consulting, Thalia Carr Coaching ( thaliacarr.co.uk ), University of Oxford Value Based Healthcare Programme, The CAG Project, Resource Futures, Oxford City Housing Company, Rose Hill and Iffley Low Carbon (RHILC), Oxfordshire County Council, Low Carbon Hub, Seacourt, OxGROW, Environmental Information Exchange (EiE), Lady Margaret Hall College (University of Oxford), Sustainable Wantage, Oxfordshire Greentech, Oxford Bioregion Forum, Oxford Wood Recycling, Hook Norton Low Carbon, EV Carshop, Organic Deli Café, Network Rail, Ecosync Energy, Catalyst Housing Association, Sustainable Charlbury, Collective Intelligence plc, GI Energy, Greencore Construction, Energy Local, Southill Community Energy, Zeta, Origen Power, Trust for Oxfordshire’s Environment, Farmer Gows, Ecomorph, CPRE Oxfordshire, West Oxfordshire District Council, Bicester Chamber of Commerce, Berks, Bucks, and Oxon Wildlife Trust, Campaign Against Climate Change, Oak Grove Associates, Power Progress, Oxford Advanced Living, Oxford Liveable Streets, Centre for Sustainable Healthcare, Oxford University Hospitals, The Wychwood Project, Sylva Foundation, FCB Studios, Esri UK, Simply Planning, Bothy Vineyard, Levelise, University of Oxford Environmental Change Institute, Oxfordshire Mind, South Oxfordshire District Council, LMH, OxWash, Cycle.land, Empathy Sustainability.